China has experienced an unprecedented level of economic progress in the past decade. This growth spurt has opened up new pathways, offering manifold opportunities for those that dare to dream. Capitalising on this opening that promises a future filled with endless possibilities, some foreign nationals have embraced the cultural and language barriers and have now called China home. According to a recent National Census taken in 2010, 600,000 expats are recorded to be living within the country at the time. Fast forward to 2019, the number could very well double, or maybe even triple into the millions. At Geely, several thousand foreigners are employed throughout its operations in China, working in fields ranging from engineering to design, and from PR to HR. So what is the impetus behind this mass migration, besides the hope of ‘China is the future’ that has been too frequently sung? One such hopeful is Ajay Jain, a Senior Design Manager with Geely Design based in Shanghai, who relocated to China in 2011. Born in India, he began globetrotting at the age of 17 when he enrolled at The Art Centre College of Design in Switzerland. Upon graduation, he has worked with international automobile marques such as Opel, Ford, Daewoo, Saab, Renault, Roewe and MG, the last two of which were in China itself. Apart from Switzerland, he has lived in Germany, Sweden, the United Kingdom, France, and was even sent back to India by his then employer to set up a local design studio. It was at this point of his career when it dawned on him that while Europe may be the centre for gaining invaluable experiences and perfecting one’s skills, Asia is untapped territory where they can be tested and put to effective use. China so happens to be the beating heart of the global automotive industry. Acting then upon this epiphany, he began this new odyssey and has not regretted it since. Ajay joined Geely only in 2016 and has been tasked with designing the exterior for a new breed of pure-electric vehicles. 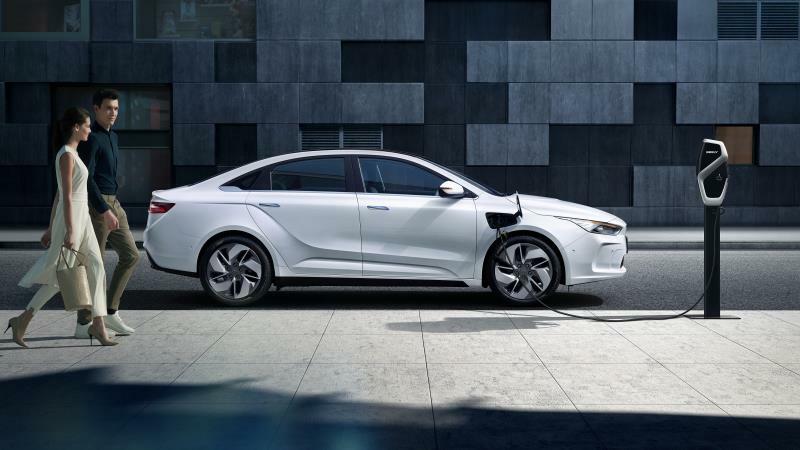 His greatest achievement to date; designing the pure electric Geometry A, from Geely’s latest new energy brand. What excited him the most about working at Geely is the pace at which the company is growing domestically, as well as globally. There are new exciting projects in the pipeline, with various new collaborations and partnerships taking place with internationally recognised players. Having already worked with well-established automobile brands that progress at a moderate but steady rate and are highly predictable in their business conduct, this serves as a breath of fresh air to him. On the other hand, it is also a massive challenge. Within the past 3 years he has been attached to Geely, Ajay has taken part in the design of four cars. This is equivalent to what he achieved during a decade in Europe. In parallel to this, he has given his input in the development of an upcoming platform for future Geely electric cars that will be co-shared between Geely Auto and Lynk & Co; the PMA architecture. The work involved in crafting this new architecture allowed him to conduct thorough studies and in-depth analysis of various existing cars in the market, which was all very exhilarating. In spite of this hectic and demanding schedule, Ajay takes pride in the responsibility bestowed upon him, as he is part of the team that determines the future direction of the company. They are the ones that define Geely. This work culture at Geely is also in stark contrast with that of other local automobile brands he has previously worked with that are solely focused on the domestic Chinese market. They are merely car manufacturers and are not innovators in the field nor consider themselves as mobility solutions providers like Geely. Having their lenses zoomed in only on the local automotive scene also means that they only employ domestic talents. 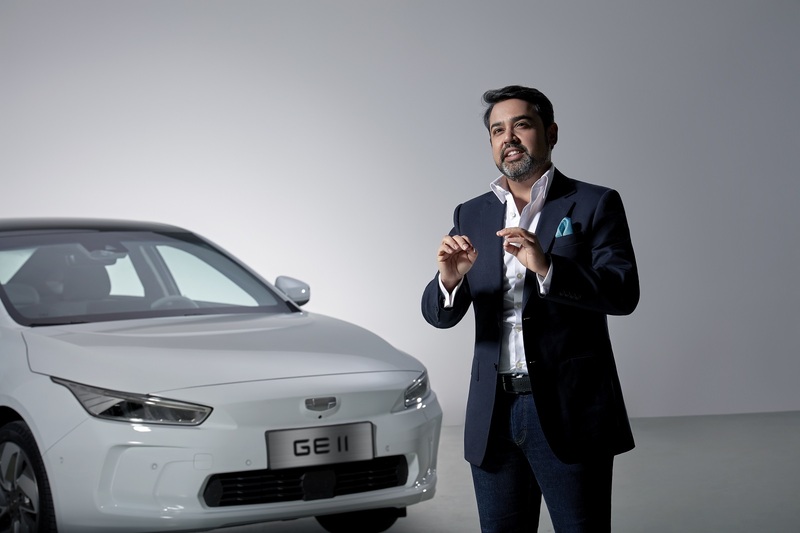 Geely Design on the other hand, although made up of mostly local designers, do regularly hire foreign talents like Ajay due to its global outlook and aspirations. This provides the team with insight into what works overseas and establishes a global village where a vast amount of knowledge is being shared. As for Ajay, this of course allow him to further enrich his experience by learning from some of these globally-inspired artisans. Having said that, local designers still make up a large majority of the team. Geely invests in a high number of these young talents, molding them to be key players in the future of global automobile design. The exposure they are given is phenomenal, learning from some of the best local and global talents. Ajay is more than happy to pass on his two decades’ worth of experiences. While doing so, it helps him to deeply understand the mind of future generations, who will undoubtedly decide on the future design direction of Geely’s cars. With its motto ‘Take Geely to the World’, Ajay is confident that the company is on the right track to make this an absolute reality. Within Geely itself, the breadth of exposure is immense. Ajay does not only get to work with Geely Design, but across the many divisions that make up the company. From examining vehicle structures while working with the engineering department to learning about future technologies currently being developed by the research division, and from understanding the strategies of the product planning department to helping the sales division realise their goals. It is then his responsibility to summarise all the gathered ideas and opinions into a definite car design that satisfy all their requirements. As an icing on the cake, the final design options are then presented to the President and CEO of Geely Auto Group, Mr. An Conghui, for his final feedback and approval. It doesn’t end there either, as he still needs to discuss with the marketing team on the best approach to market and launch the car. Ajay admits that the job is very challenging and comes with many risks. However, this is what makes it more satisfying as the rewards are also higher. Could he have experienced this if he were to work in a different company or country? Ajay thinks not. His two children were born in Shanghai and are already mastering Mandarin Chinese, whereas the apartment which he lives with his family is already the longest abode he’s ever resided in. When asked if he misses home, he simply replied, ‘This is home’. 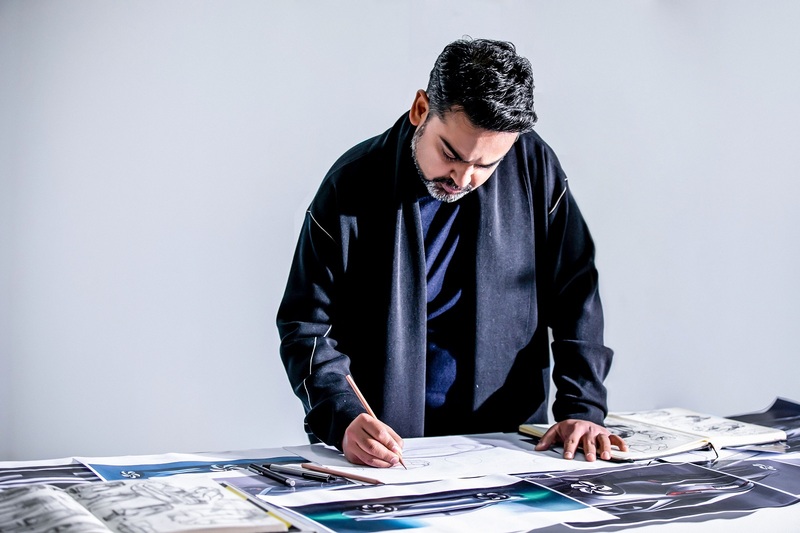 It does look like he is here to for the long run and Geely looks forward to seeing more of Ajay’s ground-breaking designs turn into realities, forming part of its future stable of cars.